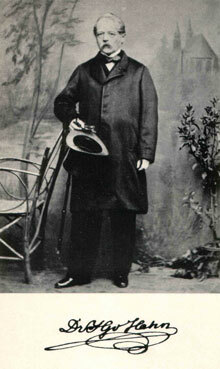 Johann Georg von Hahn (1811-1869). In 1858, the Austro-Hungarian scholar, Johann Georg von Hahn (1811-1869), later to be called the father of Albanian studies, made a trip through the southern Balkans, from Belgrade to Salonica, ostensibly to examine the possibility of constructing a railway line through the region. The following is an extract of the account of his venture into Kosovo, a virtually unknown region at the time. […] Kaçanik is the perfect place for a nest of thieves because there is no other way around the Lepenc Pass. 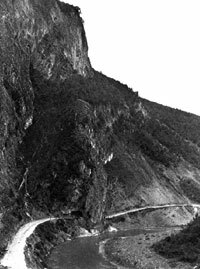 It is often described as such in old Serbian songs, and up until the beginning of this century it remained the home of highway robbers. It was only in 1807 that Reshid Pasha of Kalkandelen [Tetova] cleared the region of them after having burned down their forests. This is what Pouqueville and Boué tell us. Very few of my readers will be aware that the soil of Kaçanik is drenched in noble German blood. The events that surrounded this catastrophe were first brought to light, as far as I am aware, by A. Arneth in his Life of Count Guido Starhemberg. An extract here from the pages of this excellent work is all the more fitting since it throws light on the Albanians of this region. In this connection I have adapted the place names given according to what I thought best. Following the glorious victory of the Imperial Army at Nish and the conquest of that city, the greater part of the army marched northwards against Vidin and Wallachia. Count Piccolomini, however, who was in command of the troops that remained in Serbia, advanced swiftly southwards and took Prishtina and the plain of Kosovo, together with Kaçanik Pass. Indeed he sent his advanced forces through the pass, who took possession of the settlements on the other side, including the ancient capital of Dardania, Skopje. The Christian inhabitants of this region, who welcomed the brave and philanthropic Piccolomini as their saviour from the yoke of the Infidels, declared that they would be ready to return to Christian rule if they were given appropriate support. The Turks, for their part, were depressed at the success of the Imperial Army, such that this would have been a good moment for him to make peace. Alas, he missed the opportunity and a number of setbacks occurred which, to a large extent, undid the success he had achieved. The first disaster was Piccolomini’s death – he perished in Prishtina suddenly on 9 November 1689. His successor in command was the Duke of Holstein whose cruel behaviour, arbitrary tax collection and tolerance of the excesses committed by his troops cause the Albanians to turn against him and return to the Turks. He nonetheless succeeded in defeating a Turkish army of 6,000 men that the pashas of Skopje and Sofia had mustered against him on 27 November, possibly near Stippo [Shtip]. 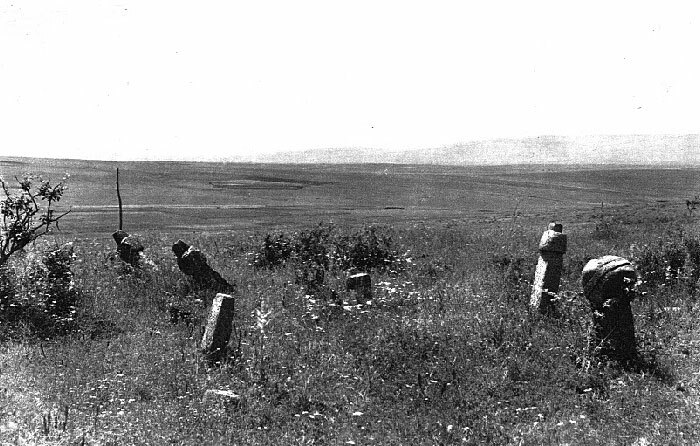 However, in the same winter, a new Turkish army advanced on the plain of Kosovo, took the solid fortress of Kaçanik and defeated Colonel Freiherr von Strasser near that place. The Colonel, who was already hated by the Albanians, had recently executed one of their men for a minor offence. Against the advice of the other officers, he now sent his corps of 2,800 men out to do battle with a Turkish force of 12,000 men on an open plain without any further support. He then insulted one of the Albanians who had pointed out the senselessness of this operation, engaged in a verbal dispute with him and then shot him in the arm with his pistol. The enraged Albanians therefore abandoned him during the battle and went over to the Turkish side. Under a savage enemy assault, German troops showed immense bravery, but were crushed by the disproportionate strength of the foe. Despite his feats of exception bravery, the courageous but rash Strasser realised his mistake too late and paid for his coarse and reckless behaviour with his life. With him fell the heroic Prince of Hanover after having killed nine enemy fighters with his own hands, as did Counts Styrum, Gronsfeld and Auersperg, young men of great promise. Count Solar managed to flee in the dark of night with the few of his fighters that remained and took refuge in a dense forest. When he received word of the disaster, the Duke of Holstein abandoned Prishtina where he had assembled many supplies, and withdrew to Nish. Soon thereafter, however, General Veterani, Piccolomini’s successor in command, hastened to the battlefield, although he was still suffering from injuries himself, took over command, bolstered the morale of his disheartened troops and set upon the enemy, that fled when he arrived. Veterani then retook Prishtina and Prizren that Imperial forces had earlier held, but with his forces decimated! He only had 15,000 men under his command and had to leave 4,000 of them behind to hold the fortress of Nish. The second occupation of Kosovo by Imperial troops does not seem to have lasted very long since the fall of Nish and Belgrade soon moved the theatre of war to the southern border of Hungary. An interesting fact emerges from these historical events – that in 1689 Dardania had a plentiful and warrior Albanian population, because it is highly unlikely in my view that the Albanians mentioned here came over from Albania itself to join Imperial forces. The question as to whether these Albanians were Christians or Muslims is not answered in the above-mentioned work. An edition of source material about the Dardanian campaign of Imperial troops would provide a substantial contribution to our knowledge of this region and its inhabitants and would also be of great interest for our military history because names like Starhemberg and Veterani appear in it. No one would be better suited for this than the biographer of the former. We spent the night in the spacious post inn that belonged to an Albanian whose appearance reminded us more of a palikar chieftain than of an innkeeper. The next morning we advanced for two hours up the bed of the Lepenc River towards the plain of Kosovo and then climbed up through the scrub of its southern edge. Rain and fog had, however, set in by evening and we were prevented from getting as good a view of this fascinating region as we would have wished. All of the hills and mountains were wrapped in clouds right down to their bases and remained so throughout our stay. Even seeing things on the plain was often difficult because of the fog. The plain seems to be rectangular in shape. One of its narrow sides stretches down to the northern slopes of the Sharr mountain range. These mountains rise to a majestic pyramid formed by Mount Lybeten that drops suddenly to the north, east and south and is connected to the Karadag range by a series of hills through which the Lepenc River makes its way. This massive peak dominating the plain was unfortunately only visible to us on one evening, when we were returning from Gjilan to Kaçanik. There are two river systems that share this plain. In its southern part, the Lepenc River, that makes its way along the northern and eastern slopes of the Sharr Mountains, flows into the Vardar, as does the nearby Nerodime. In the larger northern part of the plain, the Sitnica River, a tributary of the Ibër, flows from south-southwest to north-northeast into the Morava, which itself flows into the Danube basin. At one place, these two regions are linked to one another by a bifurcation, the only one I know of in the whole Danube basin. At a pond situated about one and a half hours from the source of the Nerodime, part of the water in the creek is channelled through a watermill and flows into the marsh of Sasli, whereas the main part of the creek flows into the Lepenc. This phenomenon was described to us by a kavass from Gjilan who stated that part of the water of the Nerodime flows into the Black Sea and the rest of it flows into the White Sea, which is the term the Turks use for the Mediterranean. The road from Kaçanik to Prishtina reaches the former horizontal level at the village of Babush after it crosses the last scrubby hills about five hours from Kaçanik and six hours from Prishtina. Here it soon meets the Sitnica River. The village of Babush is only inhabited by one family which is divided among ten houses and traces its ancestry right back to the Battle of Kosovo in the fourteenth century. Their ancestor was given this village, several hours march in circumference, as a tax-free fief as compensation for important scouting services he rendered to Sultan Murad I. His descendents retained their tax privileges until they lost them in the Tanzimat tax reform. We spent the night at the inn of Rubofc, half an hour to the north, and from there, did not take the direct road to Prishtina, but turned eastwards towards the Monastery of Gračanica, which was one of the most renowned in the ancient Kingdom of Rascia, a realm that included the plain of Kosovo and the plain of the White Drin (Metohija). The word Rascia seems to have died out here and is only preserved by the Germans and Hungarians who call the Serbian immigrants of Banat “Raitzen”. The Serbs have replaced it with the term Old Serbia (Stara Srbia), but I have been unable to find out what exact area is covered by this term. Aside from the aforementioned plains, the valley of Novi Pazar is probably also included. We stopped to talk to a group of peasants who were taking advantage of a holiday to go and meet their landowner in a neighbouring village, and asked them about the region. Despite the dismal weather, they were more than ready to provide us with information and I was struck by the theatrical manner in which these eight or nine men answered, all of them at the same time providing the same answer to the major’s questions. The major was sitting on his long-legged mare all the time, dressed in a large rain cape with the hood drawn over his head, and all the arms pointed in one direction whenever he inquired about a locality. One could not imagine a more perfect choir. The Albanians, on the other hand, behave in a more aristocratic manner. The general rule for them is that the eldest man speaks and the rest of them remain silent. However, when our coachman asked for directions through the marsh, our choir suddenly fell silent and tried to sneak away as rapidly as possible. We took pity on these kind people and were satisfied with a simple show of the general direction we were to take. But we soon discovered that our pity had been misplaced because the coachman began to look worried and the horses and carriage sank more and more into the mire. We then caught sight of a peasant who was walking through the marsh in the opposite direction, not far from us. We hailed him over and he explained to us that he was looking for a cow. He was not sure whether it had gone astray or had been spirited off by the Albanians or by a wolf. We asked him if the animal was wont to wander only in the direction he had taken, which he denied with some perplexity. We thus decided that he might as well come with us and that we would give him a tip for his services. It was evident from the expression on his face that he was perplexed at why we were offering him a tip when we didn’t have to, but simply replied “yes, sir” and got in. Without wasting any time, the major began to question him and got some information out of him about the bifurcation of the Nerodime, but it was so confusing that we had to ask him again and again. In the end, he was so petrified that he held his index and middle finger up in a V form and shouted: “See, my lord, at low water the creek does this!” I suddenly understood what he was getting at, and when the peasant realised from the questions that I understood him, he laughed aloud and continued to hold his fingers up to me, calling on Christ and the saints as his witness to convince me that he was telling the truth. 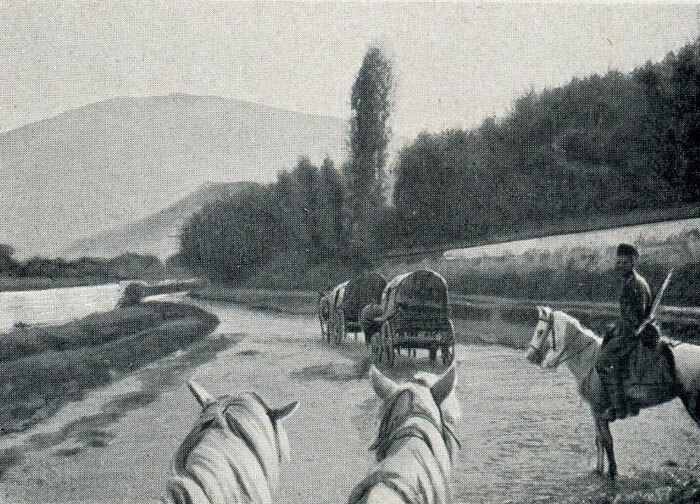 In the meantime, the mud was up to the axles of the carriage, but we were unconcerned because the peasant assured us that we were advancing in the right direction. Indeed, we soon reached firm ground, being close to the foot of the mountains on the eastern side. After crossing a number of valleys and the hills between them, we reached the monastery. It is located on the left bank of the Gračanica creek which springs in the hills a quarter of an hour to the east and flows westwards onto the adjoining plain and, like the other east-west flowing creeks we passed, it flows into the Sitnica. The monastery church is situated in the middle of a walled courtyard with several adjacent buildings and was built in Byzantine style. However, it contains a number of features I had never seen before. Each of its four fronts is divided into three sections, of which the lowest section consists of three round arches, the central one being one and a half times the size of the other two. Above each of these central arches is a second section made up of four pointed arches. The rectangular shape they make bears the third section, which is the main dome. In the corners made up by the outside round arches, are four secondary domes which, to my taste, are too isolated and lack unity with the base of the main dome. The pillars supporting the four domes rise in the interior to an exceptional height, but they do not make a harmonious impression when taken together with the modest proportions of the main vault they hold. If they had the proper proportions, these narrow round arches would evince great elegance. One good example of this style is the small church in Old Mistra, which is now, alas, half in ruins. Reflecting the three external arches of the façade, the main body of the church contains three naves divided by walls. 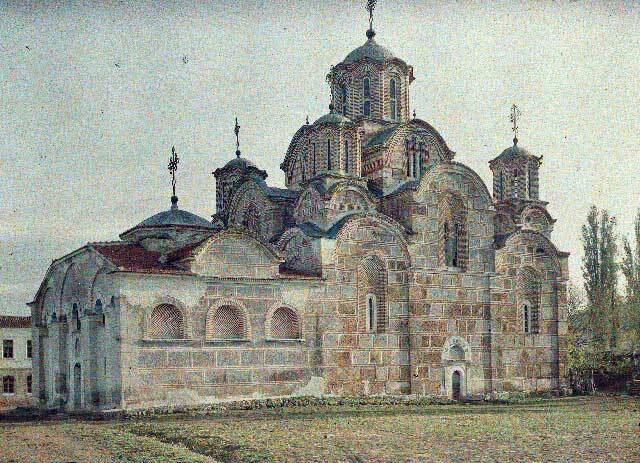 In the right nave is a wall to the right of the entrance with a huge inscription in Slavic painted in black letters on the white limestone facade. It consists of 82 lines, each of which having about 130 letters that take up some seven feet in width. They are said to be the deed of foundation of the monastery and to have been bestowed by King Milutin who is thought to have founded the monastery. Had the weather been better, I would not have hesitated to copy out the whole inscription despite its length, but there was no sense in such an undertaking under the circumstances. The monks of the monastery, of which there were four, including the abbot, told me that a traveller called Stephan had copied the inscription out early last summer. It took him eight days and he had them build a scaffold for him. I had heard of this traveller at the monastery of Sveti Otac where he had been, too. In both places, they knew only his Christian name, adding that he spoke fluent Bulgarian and travelled by himself without companions. Across from the inscription in the same room are several letters in Latin script carved into a roughly sculpted, rectangular altar. In the chalkidikum of the church there is another larger rectangular altar which shows grave inscriptions from the heathen Roman period on both sides of it. At the entrance, there is also a gravestone dating from the same period. In the floor of the church there is yet another one, but only a couple of letters at the start of the line can be seen. I suspect that they were brought to the monastery from the Vicianum station along the great military road that led from Naissus [Niš] to Lissus [Lezha], that I will discuss in greater detail below. If Vicianum can be identified as the village of Çagllavica, it would only have been one hour away from Gračanica. From the monastery we proceeded for one and a half hours to the town of Prishtina, situated in a north-northwesterly direction. To get there we once again crossed several valleys and ranges of hills. It is situated neither on the plain nor at its edge, but rather in a side valley at the point where it divides into two. Through it flows a creek that comes down the two upper valleys and unites there. According to my calculations, the town has an elevation of 1776 feet about sea level. It has twelve minarets and a clock tower which rise above the mass of houses. Prishtina (from Slavic prišt ‘boil, pimple’) is the main military training ground, after Monastir, for the western half of the peninsula. 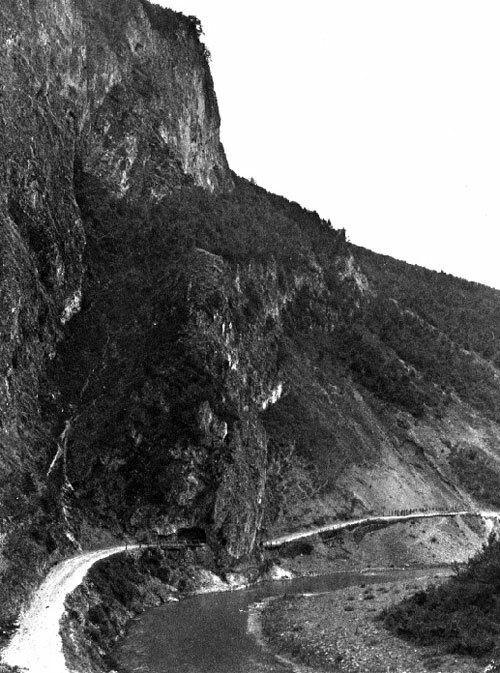 It was no doubt chosen for its strategic military location, being between the restless Dardanian and Gheg Albanians and in the vicinity of the basin of Novi Pazar which constitutes the only link between Bosnia and the rest of the empire, a region which the Serbs have often penetrated to “shake hands” with the Montenegrins. 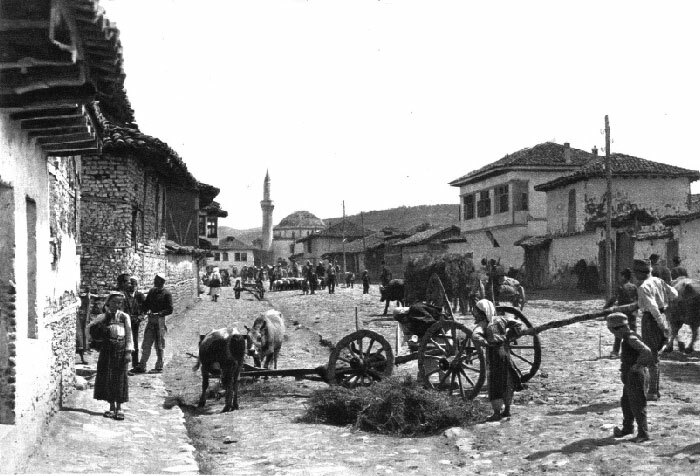 For this reason, the town abounds in soldiers bearing all kinds of weapons, though it is not an administrative centre, but rather belongs to the Pasha of Prizren and is the seat of a simple mudir. The current official holding this office is a small, old man who devoted much kind attention to us, but we did not come into contact with the military authorities. On the next morning (1 November), everything was covered in white since a foot of snow had fallen overnight. Winter had arrived on this high plateau and, as the locals informed me, it was usually severe after its initial appearance. More bad weather was thus to be expected. I was therefore obliged to alter my original plan of continuing up into the Dardanian mountains and thought it best to get back to southern and lower climes as quickly as possible. I stayed for two days at the house of the mayor. The sombre rooms were in no way suitable for cheering me up. It was nonetheless an interesting stay because the mother of the mayor told me that European travellers only rarely got there. The last ones she could remember were two young Frenchmen who had stayed there eighteen years ago when her husband, mayor of the town, was still alive. When I mentioned the names Boué and Viquesnel to her, she could recall only the former, but her description of them was accurate. This was the only trace of the men we found, to whom scholarship owes the first detailed description of these countries. To what extent these lands were unknown before them, and indeed still are, can be seen in the works they left behind. How insubstantial they are, nothing to be preserved for posterity! (Photo Auguste Léon, May 1913). Since the weather had made a visit to the Dardanian mountain tribes impossible, we used our time in Prishtina to try and at least find out what we could about them. He were told for the first time of a geographical division of the land to the east of the plain of Kosovo into a northern part called Lab [Llap] and a southern part called Golak [Gollak]. It does not seem likely to me that the term Lab Golab, which the Albanians in Albania proper use to designate their Dardanian brethren, stems from these words. As I have written earlier, this latter term is most likely related to Golubinje, the old name of Vranje. Gol in Slavic means ‘naked’ and Golak, like Golesh, refers to a naked or barren mountain range. It is possible that the stony character of the Mrkonje and the two neighbouring ranges has given this region its name, but I was not able get any precise information about this, nor about the geographical extent of the region, although I am convinced that its borders could be closely defined after an on-site inspection thereof. The region of Lab is named after the river, a tributary of the Sitnica, and encompasses the area about which we endeavoured in Prishtina to learn as much as possible, because it is still totally unknown. Each of these regions can be divided into two parts, as seen from the following note I made: Upper Golak comprises 19 villages that hold their assemblies at the mosque of Prapashica [Prapashtica]. The 21 villages of Lower Golak gather near the village of Sfirca. The 20 villages around Prishtina, for their part, assemble in Orlan [Orllan], and the 22 villages of Lab gather in Podujevo [Podujeva]. From this note, it can be seen that the Dardanian Albanians hold popular assemblies, just as do the highlanders of the motherland but, alas, in Prishtina there was no Pater Gabriel to explain the detailed workings of these Dardanian assemblies to me, as he did for the northern Albanian Alps. I was thus unable to learn anything more about them. The Dardanian Albanians, like the Albanians in the highlands and Mirdita of the motherland are divided into tribes, but tribal unity is weaker. This can be seen in the fact that blood feuds are matters for families and not for whole tribes. The obligation to take revenge is to be assumed only by the closest relative of the man killed, and likewise, responsibility for the murder is borne only by the closest heir of the murderer. It is questionable, however, whether the maxim “he who inherits, takes revenge” is an integral part of custom here, as they claim. Stranger was another piece of information I heard in Dedić and that was confirmed by Albanians in Prishtina, that a daughter can inherit the property of her father. Upon her marriage, this property would then be in the possession of another tribe because, although the tribes are very scattered here, custom will still not allow marriages between members of the same tribe. In Prishtina, I was informed, however, that this rule was not always rigorously respected. If the heiress is able to inherit property and if she has to marry into another tribe, one main feature of a tribe is lacking thus from a legal perspective, i.e. the concept of compact tribal territory. As in the motherland, a tribe here is known as a fis, a term that would seem to be related to the Greek φύσις. The descendent leaders of the tribes are called nacer, a word I did not encounter in the motherland. It is perhaps of Turkish origin. The main tribes are distributed across the country approximately as follows: of the 22 village of Lab, 20 of them are Clementines [Kelmendi]. The other two belong to Betush [Bityç]. They extend from Podujeva to Kurshumlija and inhabit most of the villages in Dedić. On the other hand, there are no Kelmendi in the regions of Vranje and Gilan [Gjilan]. They all regard the Kelmendi, who inhabit the northern Albanian Alps and are of Catholic faith, as their mother tribe, from which at various times individual families moved to Dardania. The Grashnich [Krasniqi] are to be found mainly in and around Prishtina and constitute virtually the entire Muslim population of that town. Aside from them, there are only fourteen houses of Emire, who regard themselves as a branch of a mother tribe in Novo Brdo [Novobërda]. These Emire are the only Muslims in the country that stem from Asia or, as they say locally, they are the only Osmanli in the country. Upper and Lower Golak are the main villages of the Krasniqi in the region of Prishtina, where they are more or less equal in number to the Kelmendi. They are also prominent in Leskovac and Mitrovica, and are equally to be found in the region of Vranje. 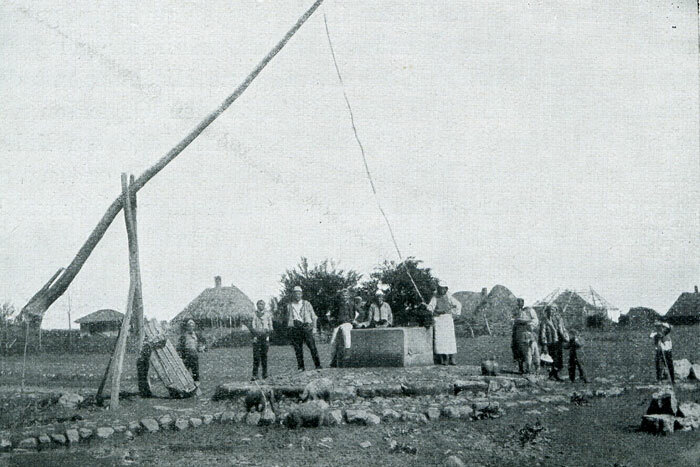 Mixed in with the Krasniqi in the region of Leskovac are branches of the Sob (hay), Berisha and Gashi tribes. The Sob also predominate in the Moravica Valley. Almost all of the inhabitants of Karadag [Mal i Zi i Shkupit / Skopska Crna Gora] are Berisha. Gashi can also be found in the region of Masurica, most of which, however, belongs to the Krasniqi. The Gashi inhabit six villages in the district of Leskovac, but have no relations with the rest of their tribe in Prishtina and Vranje. Their one-time chief was Latif Aga, famed throughout the land for this bravery. He has now been replaced by his eldest son Reshid Aga, whose brother Emin commands the five-man garrison at the guardhouse in Lebana [Lebane]. I am grateful for some of this information to this Emin and one of his subjects called Hajdar, whom I noticed in particular because he was the only Albanian who betrayed in his gestures that he offered shelter to others [non-Muslims?]. I was also told about other large tribes: the Gasi, who were scattered everywhere, and the Shalj [Shala], who constitute the main population of the region of Vuçitërn [Vushtrria] and who recognised the Catholic Shala of the northern Albanian Alps as their mother tribe. These are the largest tribes. However, they share Albanian Dardania with a dozen smaller ones. The latter can be divided, in turn, into smaller groups. For instance, the Berisha have 7 branches: 1. Asqur, 2. Ali Shiça, 3. Dodo, 4. Murtur, 5. Livosh, 6. Kuç, 7. Gec, and these branches divide into even smaller units. As I was not able to learn anything new about such matters in Dardania, I would ask the reader to refer to what I have already written in Albanesische Studien [Albanian Studies]. As to the population figures for the Dardanian Albanians, the only good point of reference is the report from the general staff of the army corps of Roumelia on the number of recruits that the Muslim population in these regions of Dardanian Albania offers in first-class recruitment in peacetime, at a proportion of 5 : 100. Other information I have gathered in this connection concurs with this. This makes a total of 8,260 Albanians of conscription age because the Muslim population in these districts is entirely Albanian, and there are no Christian Albanians there. This does not help us any further, however, because, although I asked around for an estimation of the proportion of conscripts to the total population, I was given no reply. Fortunately, I received information in Gjilan that there were 3,800 houses in the district named after this town, of which 2,300 were of Albanian Muslims and 1,500 were of Bulgarian Christians. This information can serve more or less as a basis for a calculation. As I noted earlier, the Albanians tend to preserve their family units as long as possible from dispersion, and remain within them since they are more inclined towards blood feuding and club-law than are the Serbs and Bulgarians. For this reason, I would estimate that there are at least six persons in the average Albanian home. According to this calculation, Dardanian Albania would have a population of about 70,000. If we calculate the surface area of this region as being about 80 square miles, there would be a population of about 900 persons per square mile. In addition to the above-mentioned districts, there are several others outside Lab Golak and the regions to the east, such as the Moravica Valley, the source of the Morava, and parts of the plain of Kosovo. On the other hand, we can certainly assume that the lists used for conscription in this wild and savage land are far below the actual population and I therefore suspect that our figures are probably too low rather than too high.